This item has been sold, but we think you'll like these items from SamBamSr's Booth, too. *BRAND NEW* Zenith Products Expandable Shower Caddy for Hand Held Shower or Tall Bottles, Wire Shelves Allow Excess Water to Drain, Caddy Stays in Place While in Use, Most Versatile Caddies on the Market Today, Chrome Eliminate clutter in your shower with this functional Expanding Handheld Shower Head Caddy. 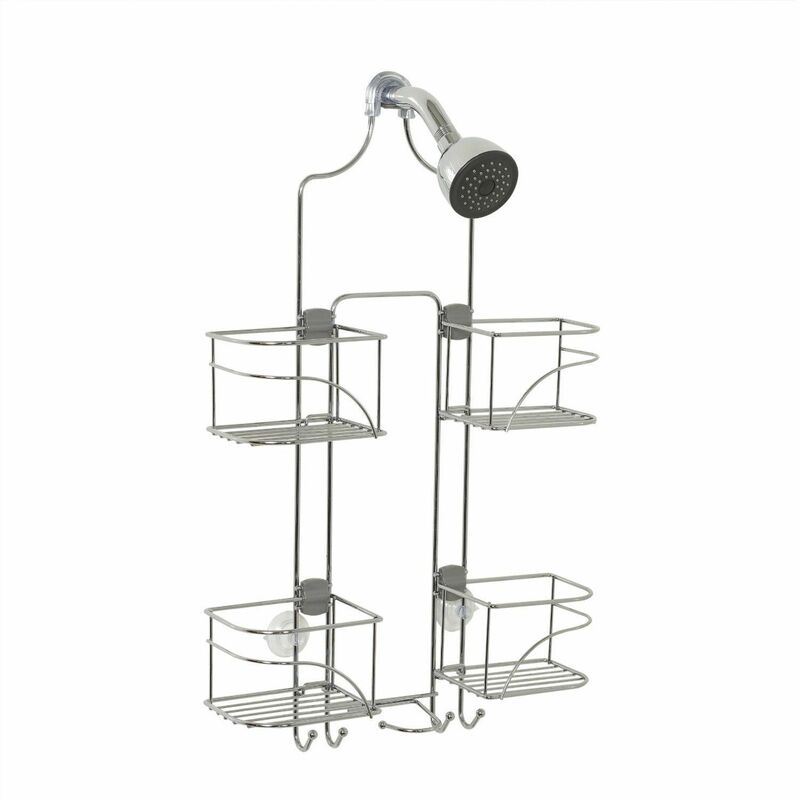 It features an attractive polished chrome finish that is both rust-resistant and durable. The shelves slide back and forth to help fit those extra tall shampoo bottles. 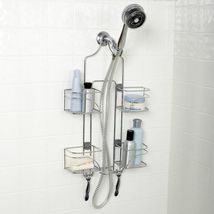 Have a hand held shower?? No problem! 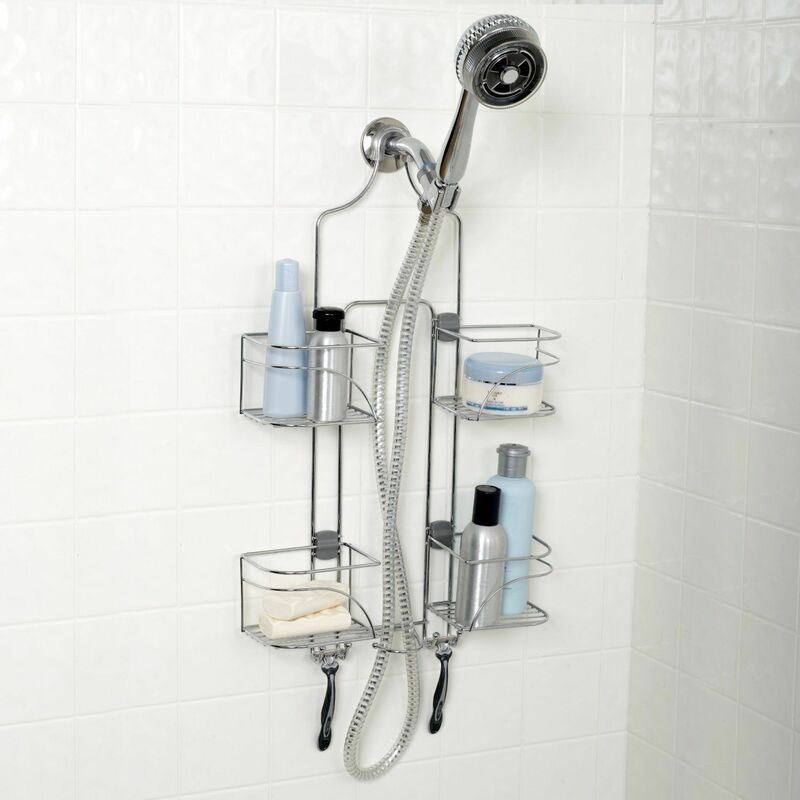 Simply slide the shelves outward and tuck the flexible shower hose between the shelves. 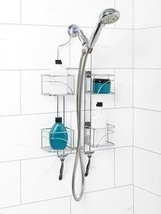 We've even included a large hook at the bottom which helps tame even the most unruly shower hoses. 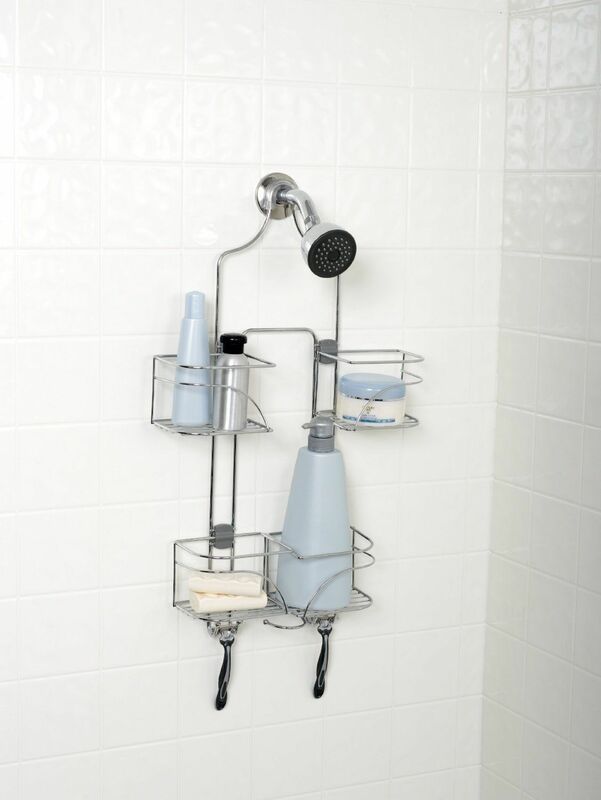 Four smaller hooks at the bottom of the unit allow you to hang razors, washcloths or poufs. 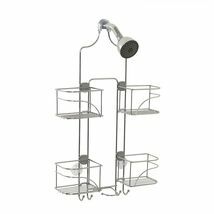 * Rust-resistant chrome finish combines elegance with functionality * Four large basket shelves shift outward allowing caddy to be used with hand held shower hose or large bottles * The exclusive Swivel Lock non-slip collar and suction cups keep caddy stable and prevent swaying * One large center hook keeps the shower hose tidy while not in use * Four smaller hooks enable you to hang razors, washcloths, poufs, etc. * Product Dimensions: 4.2 x 10.2 x 24.8 inches è FREE Drug Card For People Pets Begin Saving Money On Your Prescriptions Today! No Medications are Excluded......Your entire Household can use it. No Claims to File ........You can use it even if you have Insurance. àWe Offer *FREE* Quick Fast In a Hurry To Your Door Shipping We Ship FREE to the Lower 48 States Only, I Cannot Combine Shipping, and there is no Local Pick Up. If you are located outside the United States, please contact us before you make a purchase. Please let us know the item you are considering purchasing along with your Full Address to see if our supplier can ship to your Destination. We will reply with a Shipping Estimation.